This years big IT color is Blush. If you haven’t seen it already then you defiantly will soon. 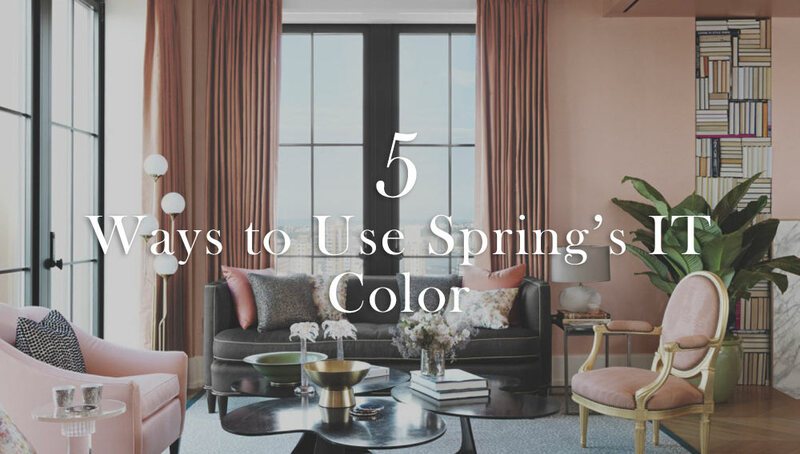 Its gained a lot of popularity on the runway this year, but in this blog post we want to show you how you can use this fashionable spring color in your home. One of the easiest ways to use blush is by having a few accent pillows and art. If you want to really have a unique composition, we recommend pairing the color blush with some copper accents. Pendant lights in a copper finish can really add interest! 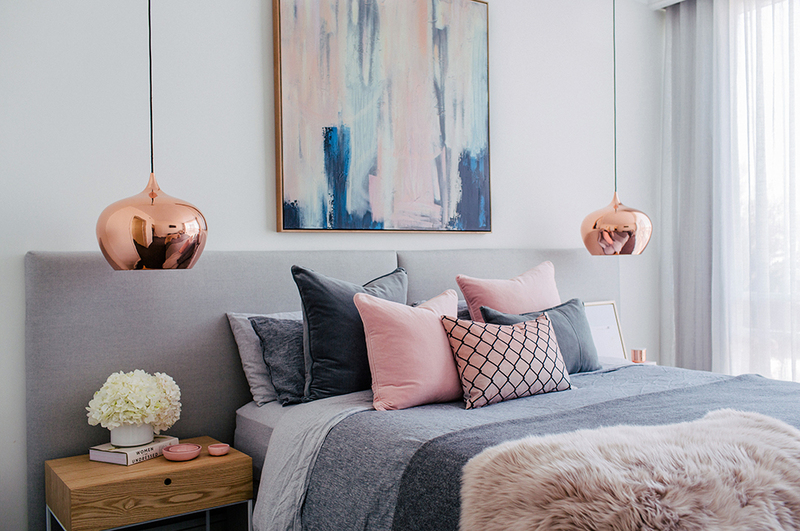 Painting your room blush might sound like too much but in reality having one accent wall, in the color blush can actually make a space feel very modern and open in a unique way. You can also choose a contrasting wallpaper in the tones, for your accent wall. 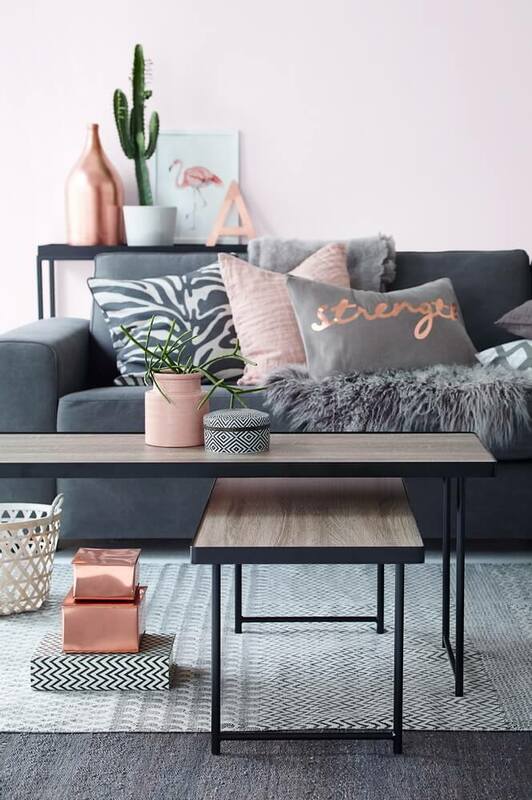 Reupholstering one of your statement pieces in blush can add that fresh spring feel while leaving it a little understated and classy at the same time. Perhaps you have a favorite accent chair or chaise lounge you would like to spruce up! You will see most people pairing blush with light greys and white, but remember blush can look incredible with black and darker charcoal colors as well. 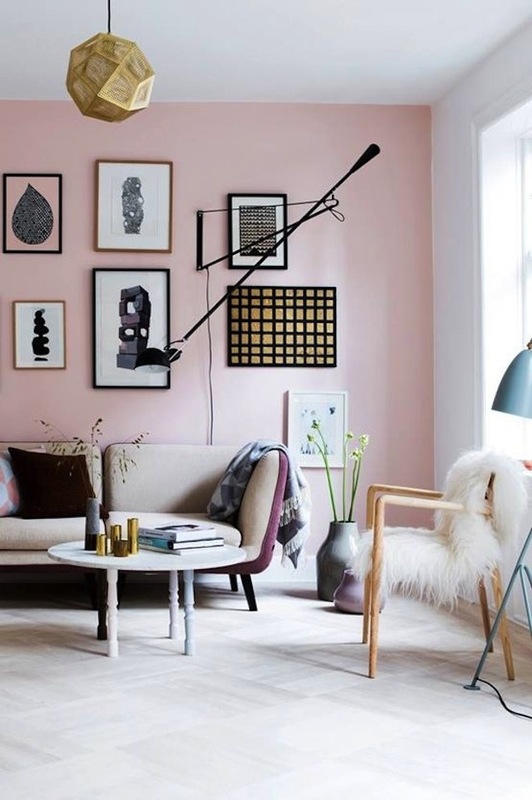 The combination of black and blush pink is a classic that will never die. 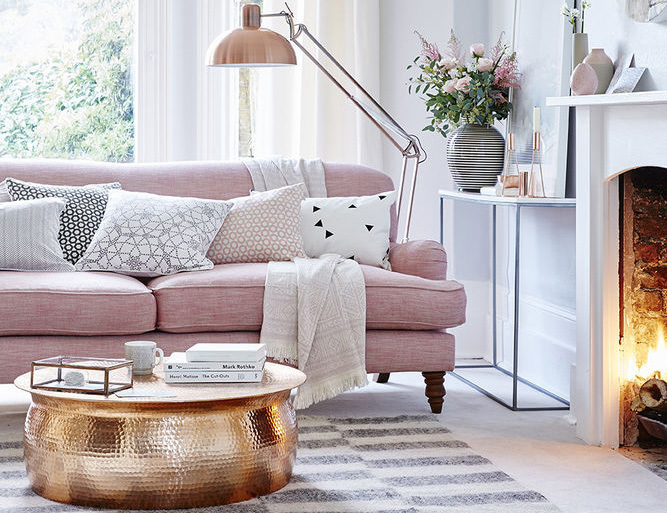 If you want to take advantage of blush this spring without redoing your whole room then a great way to get some blush into your designs is with a large area rug. It will look amazing and you can always store it away for next spring. 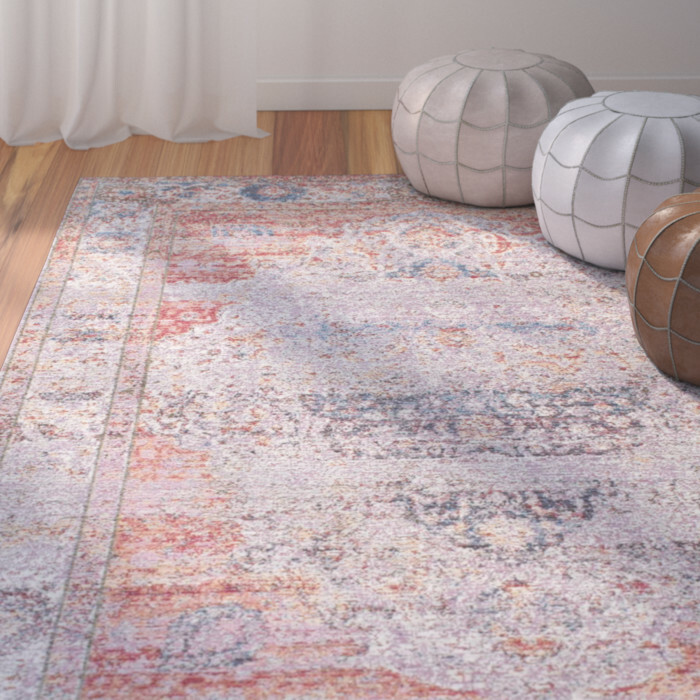 We love the heirloom look of an aged rug without the heirloom price. They are all the rage! We can help you choose one from one of our many rug lines.